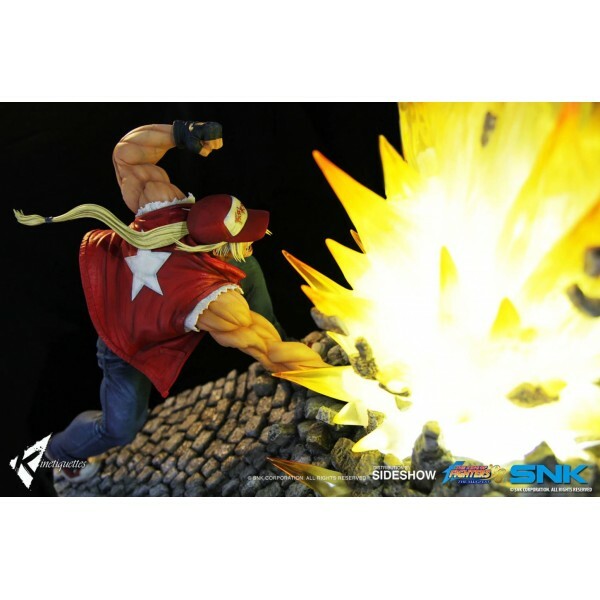 Terry Bogard is the main protagonist of the Fatal Fury series and has appeared in every Fatal Fury and King of Fighters game. 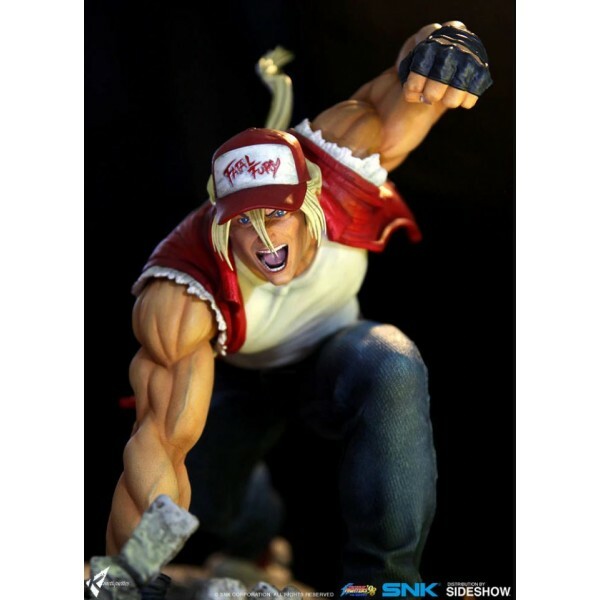 Terry Bogard is the brother of Andy Bogard, both of whom were orphans that were adopted by Jeff Bogard. 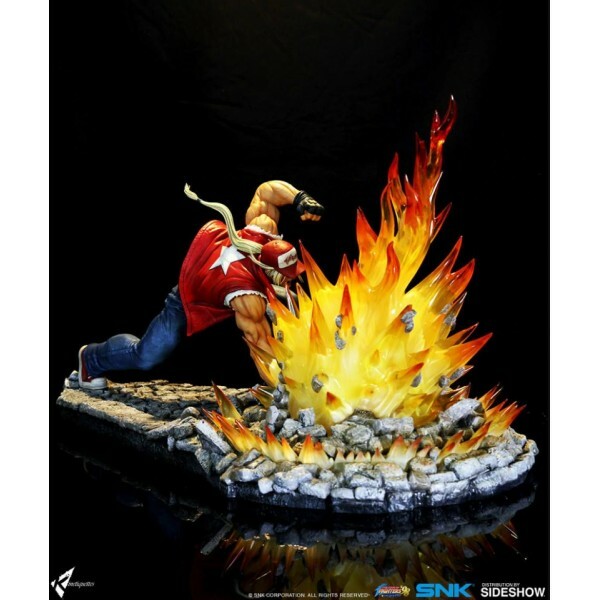 He is often referred to as the Legendary Hungry Wolf. 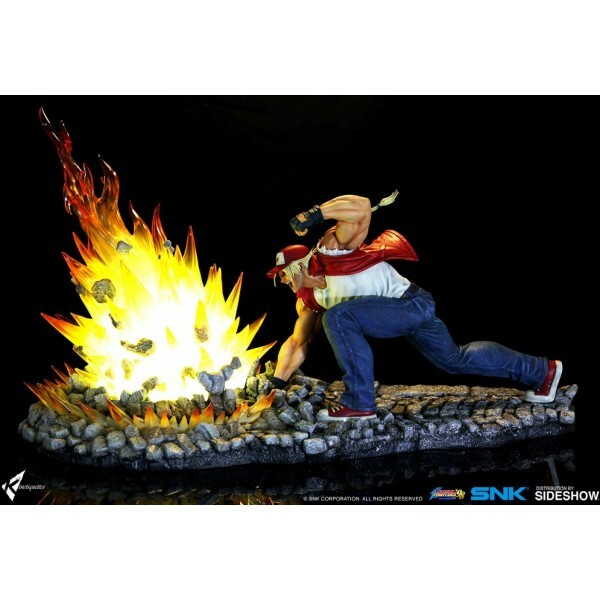 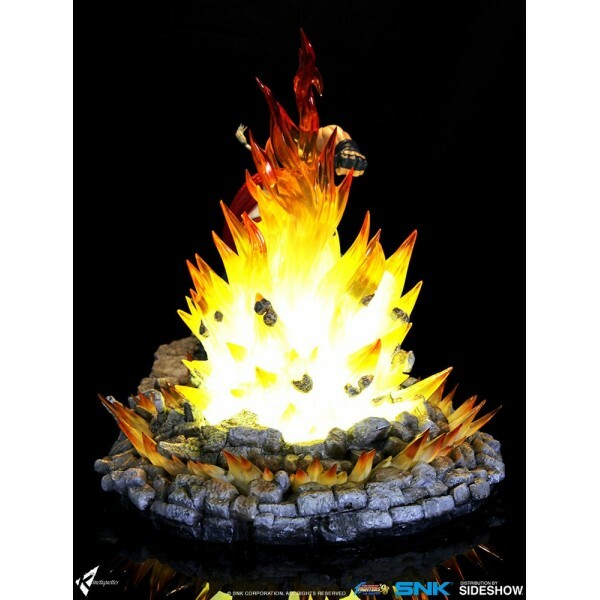 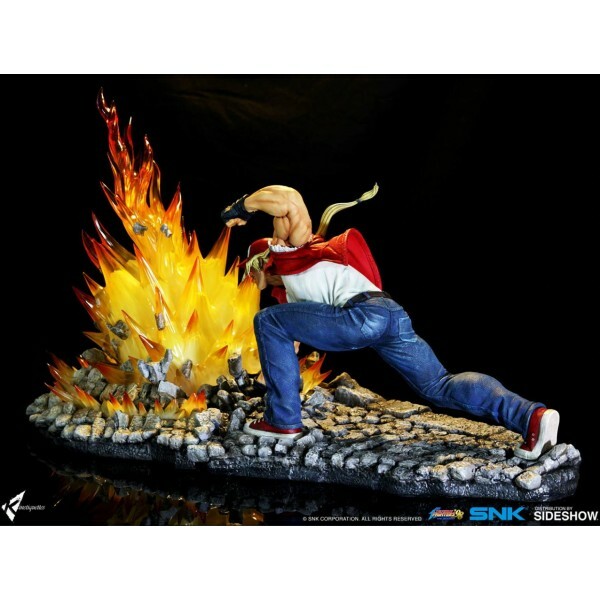 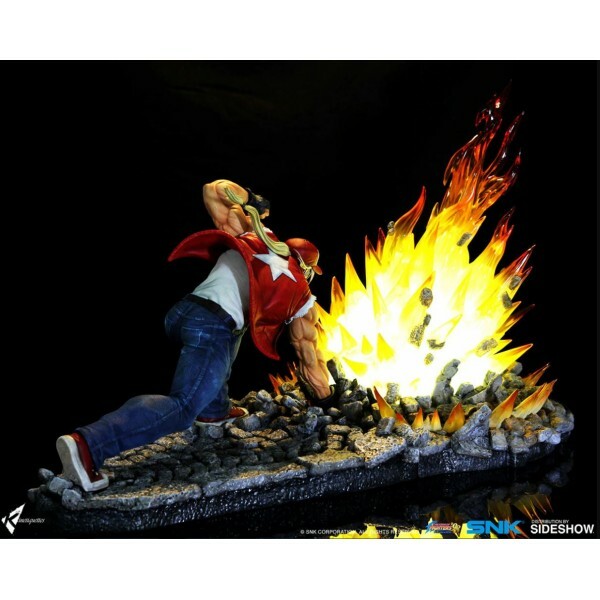 This is a diorama depicting Terry Bogard performing his iconic desperation move, Power Geyser. The base shows the stones from the Greece stage of King of Fighters '98 as it is destroyed by the impact of the special move. 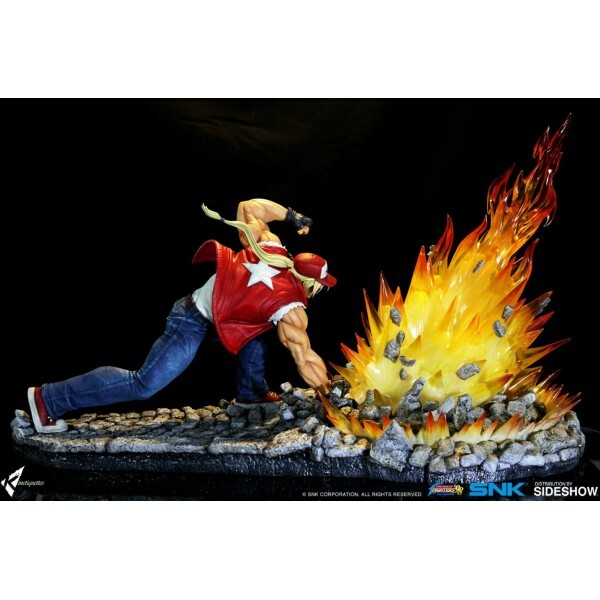 Featuring LED light up features and detachable base of the Geyser, the statue showcases one of the heroes from Southtown in all his detailed glory in quarter scale. 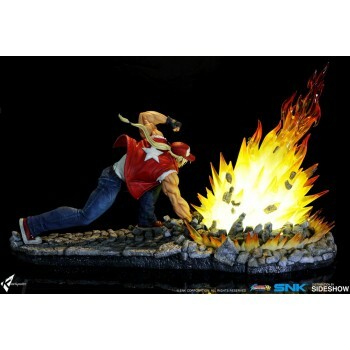 The diorama is designed to connect with future upcoming characters from the King of Fighters franchise.